Let’s play a lighting round of jeopardy. 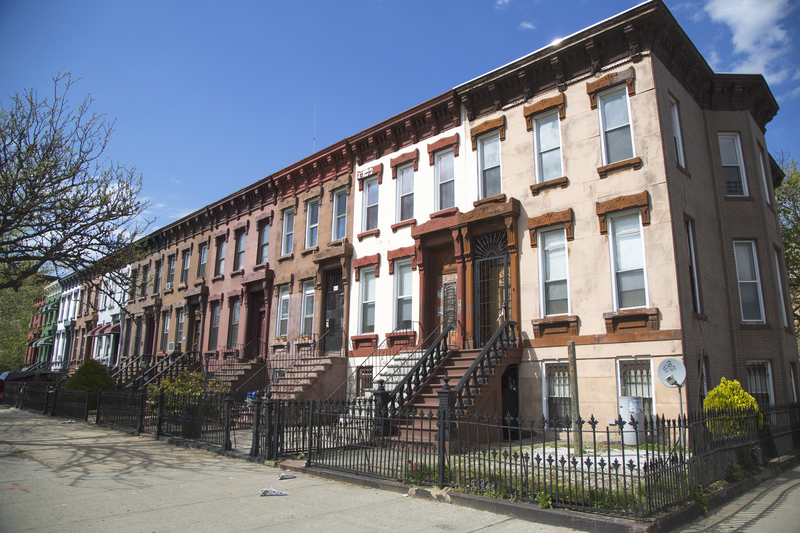 Best Residential Neighborhoods in the US: This New York neighborhood is located opposite Queens, above Williamsburg, at the northern tip of Brooklyn. Your answer: What is Greenpoint? When it comes to the real estate market, it’s imperative to be one step ahead. But it’s also smart to be familiar with past records (and not just for trivia). The Greenpoint neighborhood was previously dubbed “Little Poland” thanks to its strong Polish ties, the result of a surge in immigration around a century ago. Today, the neighborhood is full of promise – the kind of promise that will make the price per square-meter surge, too. In fact, real estate investors are starting to buy apartments, big lofts, abandoned warehouses, and brownstones to resell quickly. This resale is an express way to make a profit. We believe the answer is: What is a flip? Greenpoint has preserved some of its industrial features dating back to the late 19th-century. At that time, the area was home to many shipyards, glass companies, and all kinds of factories. Since, the neighborhood has been able to take advantage of these vacant spaces, and give them a modern makeover. Developers buy and renovate large factories, transforming them into prestigious contemporary-design apartments (currently in style). The neighborhood’s cachet is undeniable, even families have begun to take notice. Real estate in Greenpoint is very attractive, in part for its peaceful, family-friendly spirit, in part for its excellent school: for example, the Franco-American school P.S. 110 Monitor School. What’s really interesting is that the prices are still reasonable and cheaper than its ultra-trendy neighbor, Williamsburg. You’ll be enchanted by Greenpoint’s bohemian spirit. Important parts of everyday life, art, galleries, pastry shops, trendy bars, and fashionable boutiques mingle with family houses and red-brick buildings. Shopping in Greenpoint is above par. You’ll find international and European designer brands. During breaks, snack in Polish bakeries that have been passed down through the generations, or concept restaurants to make delicious gourmet discoveries; such as its cafes, for example, which are half-florist, half-coffee shop, and half-bookshop. Refined and cozy at the same time. 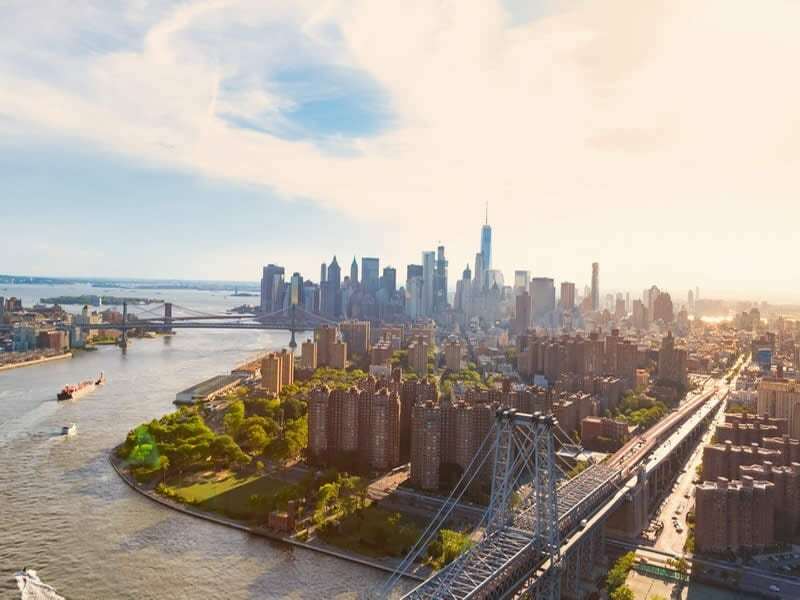 Taking long walks around Greenpoint is a pure delight, whether it’s in its lively streets or Transmitter Park, a popular meeting place for families and friends to enjoy free time with the dazzling panorama of Midtown in the background. Here you’ll find the starting point of the East River Ferry, which takes you to Manhattan, an airy alternative to the subway. Not to mention, with views of the iconic skyline, this commuter’s route with officially put you in a New York state of mind at the top of each workday. You still can spot fishermen on the waterfront, but also fashionable restaurants and concert halls. Speaking of which, you must check out the selection of floating restaurants offering spectacular sunset views. 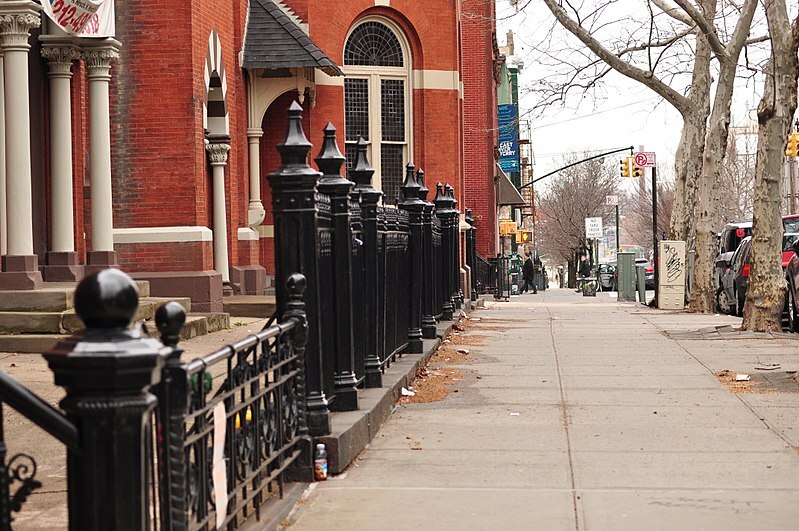 If you’re waiting for the right moment to buy property in Greenpoint, wait no longer. The time is now! 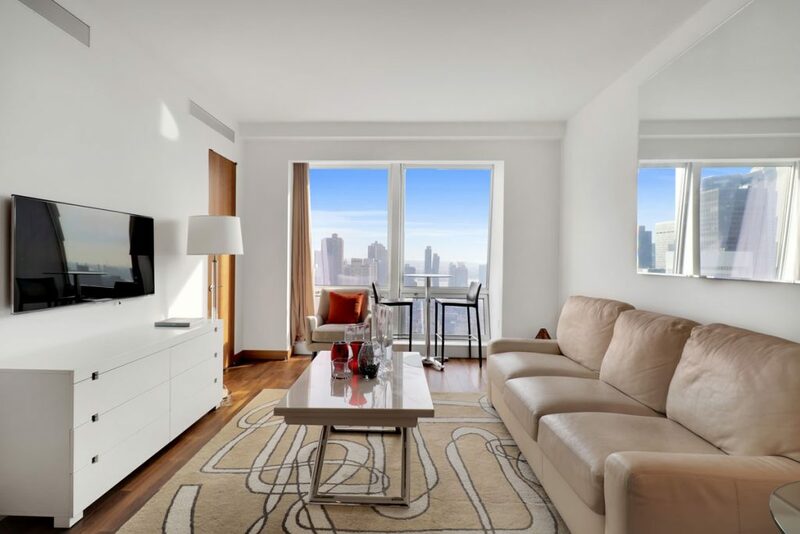 Seize the opportunity before it’s too late and live a relaxed life in Brooklyn, New York.